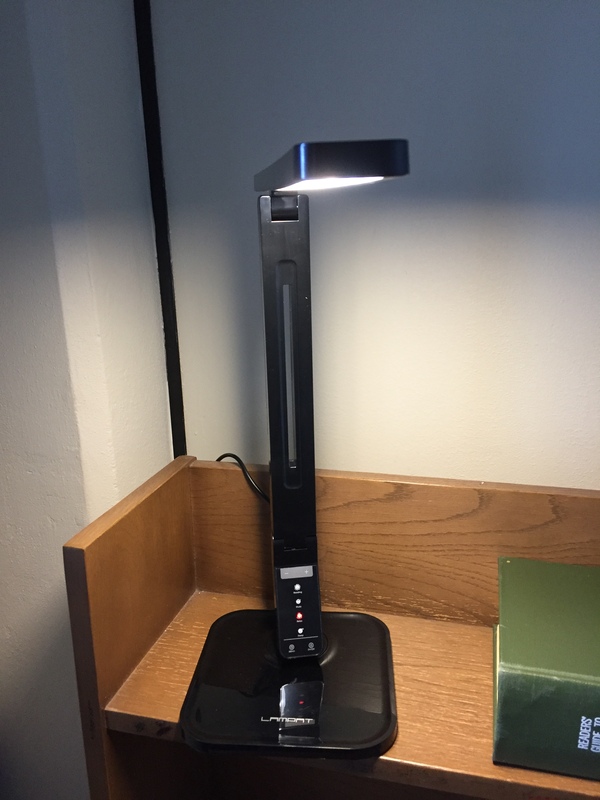 Things are brightening up in Hackney Library with the addition of new LED reading lamps in four of its individual study rooms. The individual study rooms located on the elevator-side of Hackney Library’s second floor now boast small reading lamps perched on the top shelf of each carrel; these will shed more (and varied) light on whatever subject you’re studying, both in the study rooms with windows and in those without. 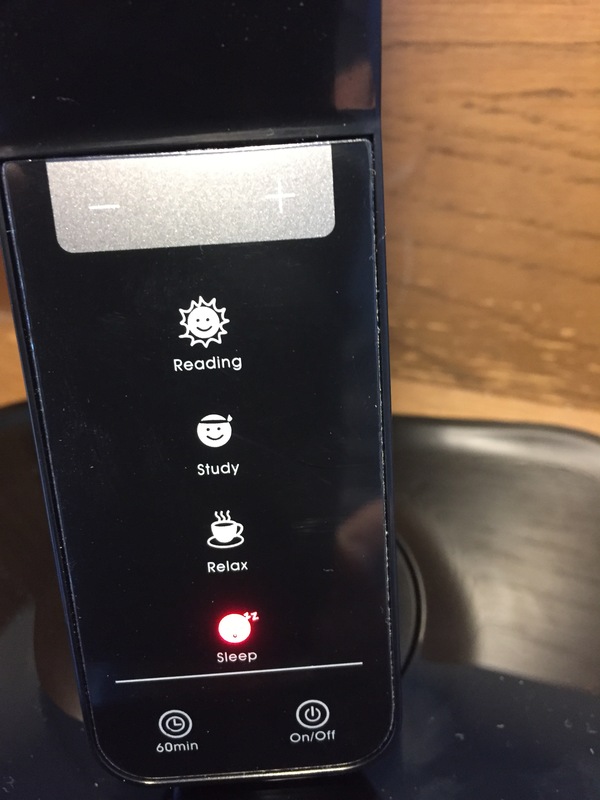 The new lamps have several brightness settings, including the most illuminating (“Reading”), followed in decreasing intensity by “Study,” “Relax,” and “Sleep” (the dimmest setting). In addition, there is a 60-minute timer button, which when selected will set a timer to turn off the lamp after sixty minutes. The top arm containing the LED bulb is adjustable, so you can angle or swivel it to point to wherever you need more light. Come on over and try them out for yourself (and please remember to turn them off when you leave! ).